Caravan Sunland Winton 24ft 2011 Full Off Road Top of the Line AC Full Ensuite ! Onsite Caravan, Annexe and Carport @ Horseshoe Lagoon, Moama. 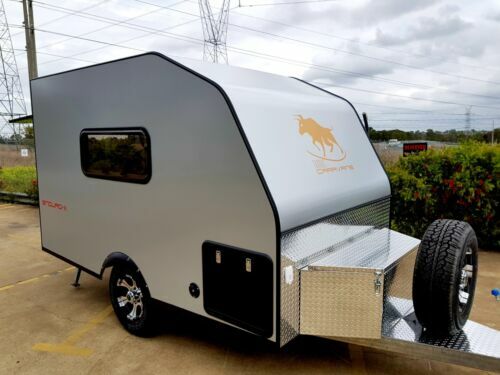 2015 camper trailer MDC REAR FOLD. Caravan Light Weight Luna Lexon EB 20 Ft. gin reat condition with all extra's. Under Construction-Huge 10.5 x 2.5m Mobile Tiny House fully equipped, sleeps 4!